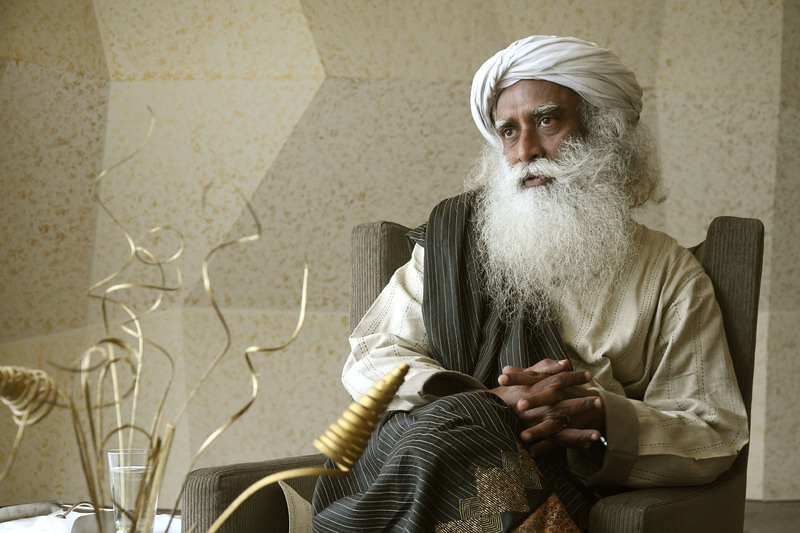 Thrive India’s Guest Editor this month, the yogi, mystic and visionary Sadhguru says it is important for young people to first grow into full-fledged human beings before setting out to accomplish their dreams. When people go to sleep, they have dreams. I am telling you, put your dream to sleep for some time. Do not dream anything now and fix what you will become in the world because it is too early. In three to five years’ time, you will be an entirely different person. In reality, even from today to tomorrow, though it may not be a noticeable shift, something would have changed. So, you do not have to think today, “What am I going to do in the world?” because you will only fix up a very small, inefficient dream. Right now, your business is to imbibe as much as you can. Grow into a full-fledged human being – physically, mentally, emotionally and in terms of your intelligence. On all levels, you must become as much as you can become. In some way, a dream or an ambition means you are thinking of some kind of a race. They are calling it a rat race these days. If you enter the rat race, it is mainly about who is better than whom. You have to be a rat to qualify. That is a huge backwards step in the evolutionary process. If you win, maybe you are a super-rat, but still a rat. Do not think in terms of, “Where will I be, how much ahead of somebody or behind somebody?” This is a time to absorb as much as you can. This is not a time for you to yield mangoes. This is a time to pluck the damn flowers out and just grow. If you want to win a race, it will not happen just because you desire it. You must build an appropriate machine. What you have is a Maruti 800, but you are thinking of winning a Formula One race. You can dream as much as you want, about how Lewis Hamilton was trying to overtake you, but with your Maruti 800, you went off ahead of him! You can dream all that, but if you go on the track and try to do something, the four wheels of your Maruti will fly in four directions. Do not try to win the race. Just build a good enough machine – that is the most important thing. Thinking of winning the race means you are looking back and seeing, “Somebody is behind me.” If you have a bunch of idiots around you and you are winning the race, you will be a better idiot – that’s all. Do not ever think on those lines. Wanting to be better than someone is a wrong direction that has been set for the whole of humanity. This will leave you in a state of strife all the time. Above all, if you enjoy someone else’s failing, it is a sickness. What should you do in the world? You should do what is most needed, not what you fancy in your head. What you fancy in your head may be irrelevant to the world. Then what is the point of doing that? Too many people have done what they fancy and destroyed the world in many different ways. If we can joyfully do what is needed, then we will find expression and people will gather and support that activity – then things will happen. Put your dreams to sleep for some time because dreams come from past experience of life. Our future should have nothing to do with our past, otherwise we will just recycle the past and think it is the future. Most people’s idea of future is to take a piece of past, apply make up on it and think it is future, a little improved. Future should happen new. What you could not dream of should happen in your life – that is my blessing to you. What you could not imagine must happen. If what you could dream happened, what is the use of that? You can only dream what you know. If only what you know happens, it is a poor life. Let something happen that you cannot dream of right now – only then, life is exciting. I want to destroy your dreams. Let them be destroyed, so that you aspire to just grow yourself to your full potential.